Directed by Fede Alvarez. Starring Claire Foy, Sylvia Hoeks, Sverrir Gudnason, Lakeith Stanfield, Stephen Merchant. The Verdict: Lisbeth Salander is a tricky character to pull off. She’s not quite mainstream, not quite niche. She lies in that gray area in between, which is why Hollywood has struggled to understand her. After a fine trio of native Swedish efforts fronted by Noomi Rapace, David Fincher had his own stab with 2011’s The Girl With The Dragon Tattoo. It was a strong, dark remake that went against the Christmas cheer of its release date. While not a failure, it didn’t exactly set the box office alight. The next two instalments lingered unmade, despite Rooney Mara expressing a keen interest in returning to the role. Years passed. Now there’s a reboot of sorts in The Girl In The Spider’s Web. Rather than go back to the late Stieg Larsson’s original trilogy, Sony have moved forward with adapting a new Lisbeth Salander story from the novel by David Lagercrantz. 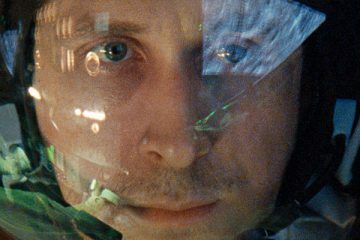 A new production team has been brought in headed up by Evil Dead director Fede Alvarez. 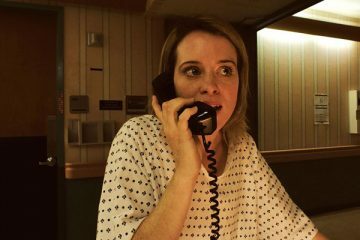 The lead role has been re-cast with Claire Foy, who is having quite a productive year on the big screen. The net result is… decidedly mixed. That’s the most accurate way to put it. There are elements that work fine, such as Foy’s committed performance and the delving into Lisbeth’s troubled childhood backstory. That adds some welcome layers to this mercurial character. The action is well-staged and the pacing is brisk enough not to be boring. The relationship between Lisbeth and Mikael is warm too. On the other hand though, Lisbeth’s harder edges have been softened somewhat in the screenplay by Alvarez, Jay Basu and Steven Knight. Perhaps to make her more palatable to a wider audience – presumably American. This has the unfortunate effect of turning her into a one-woman A-Team, righting wrongs and giving bad guys what they deserve. She comes across as borderline conventional. Lisbeth Salander is anything but conventional. She’s an extraordinary character, a strong young woman who has seen dark days but is able to retain her humanity. No fault to Foy of course – she’s doing the best with what she’s got on the page. Overall, there is a strong whiff of this new film being distinctly average. That makes it the least effective take on Lisbeth Salander so far. That’s fine if you want a serviceable thriller that kills 2 hours in dutifully entertaining fashion, but this character deserves more. She’s a hard nut to crack and the new production team will have to think carefully if it wants to proceed with future films in Lisbeth’s current incarnation. 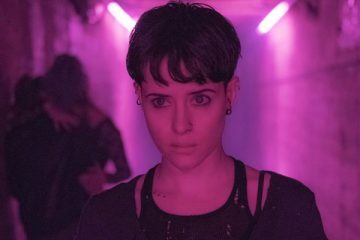 Not an outright disappointment but not exactly spectacular either, The Girl In The Spider’s Web is just OK.